Be ready in 5 minutes and look ravishing - that is the conundrum we are forced with most nights. 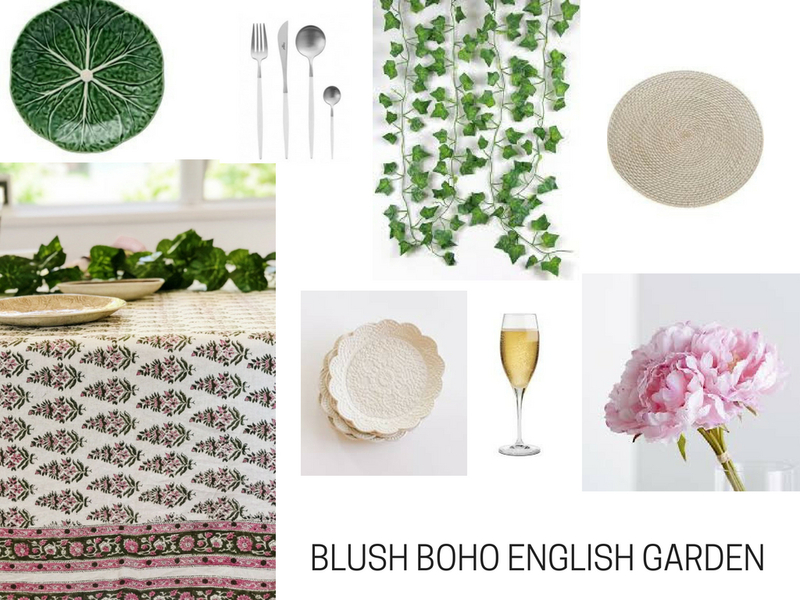 So we put together some ideas to doll up an average weeknight dinner and help you sail through some formal affairs .The Des Fleur Tablecloth pictured here is now on Clearence and is more than 40% off retail price. 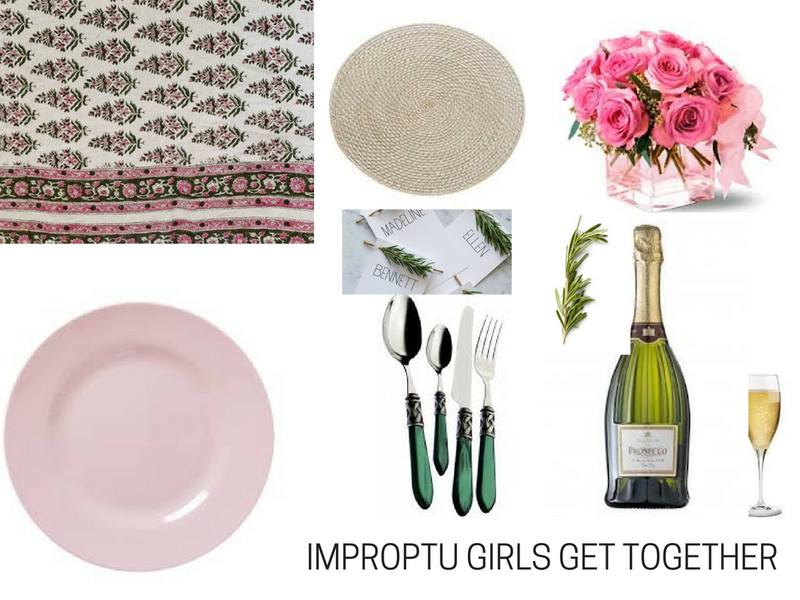 Pretty up a spontaneous get-together with colour, pattern and any unusual finds you're tempted to try. Family dinners never looked so good.Try patterned tablecloths, palm leaves as placemats and rattan chargers for layer upon layer of interest. Table settings are like guest lists: Diversity is key," says Bunny Williams. If you're dressing up for the occasion, don't forget to deck out the table the same way. 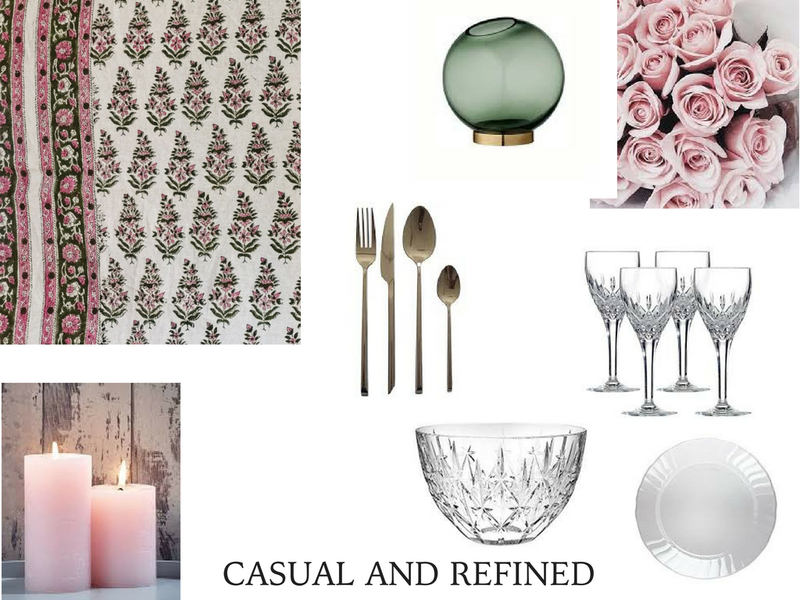 Pull out all the stops: stemmed glassware, elaborate centrepieces and of course the good cutlery. "Keep your centrepieces low so your guests can talk to each other without needing a chiropractor afterward," says Tatiana Sorokko. "It's not hard to turn a party staple into a masterpiece," says Lulu Powers. "Just pile it up!" Her go-to spread includes a variety of cheeses plus assorted snacks like dried orange slices and olives for extra color.Hostessing is hard enough — cut out complicated serving rituals and have guests help themselves to whatever's on the menu.